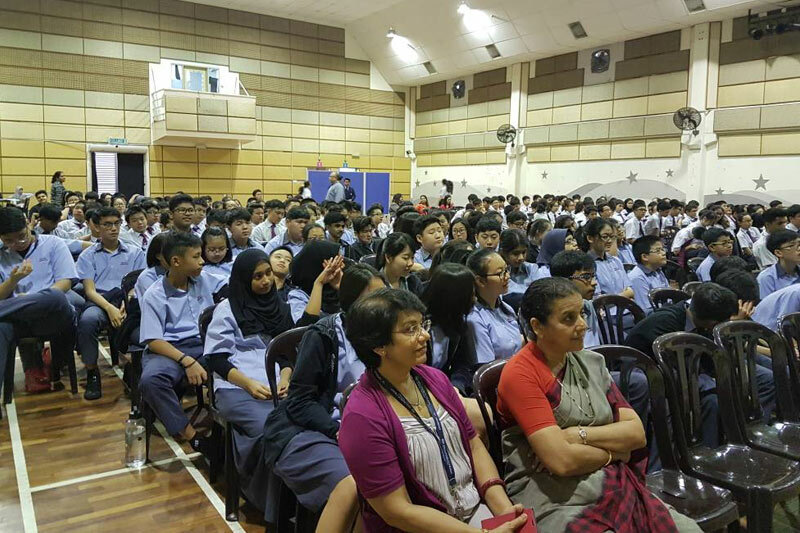 The tension was high on 11 July as both the National and International schools’ of R.E.A.L Schools, Shah Alam Campus competed in the annual Reading Olympics. Held at the campus’ Hall of Character, the spirit of healthy competition during this year’s edition of the event was alive and well; with participants giving it their all on stage and the audience fervently supporting their respective teams. 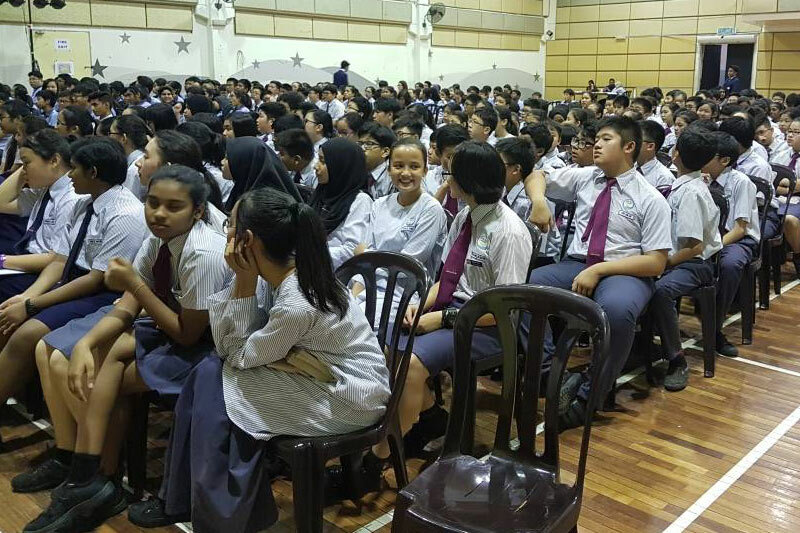 The Reading Olympics is a competition where two groups of five Secondary students are each given a storybook from which questions are generated from. The two teams then had to answer the questions given as quickly as possible. The National school team eventually edged the tightly-fought contest. But beyond that, Reading Olympics is aimed at instilling a love of reading and literature among students. One of the participants and Year 8 student Edyqa Danial said, “The competitive spirit at the Reading Olympics was exhilarating. Even though we were a member short, it did not stop us from trying to win. As I walked up on stage, I did not feel afraid as I was prepared for the battle that was ahead”. “Both teams fought valiantly to come out on top, with the audience cheering us on like they did with the gladiators of old. The tense feeling and cheers of the crowd helped us to soldier on. We patiently waited for the questions to be read out, and pounced on the opportunity to answer. I could still remember that when we shook hands with our opponents, one of the members complimented me saying that I actually read the book, and I replied by saying that reading the first page helps a lot,” added Edyqa. Pioneering R.E.A.L initiatives such as Reading Olympics are geared towards enhancing students’ transformative learning experience within a fun and interactive setting; as well as promoting good values and habits such as reading, sportsmanship and camaraderie. 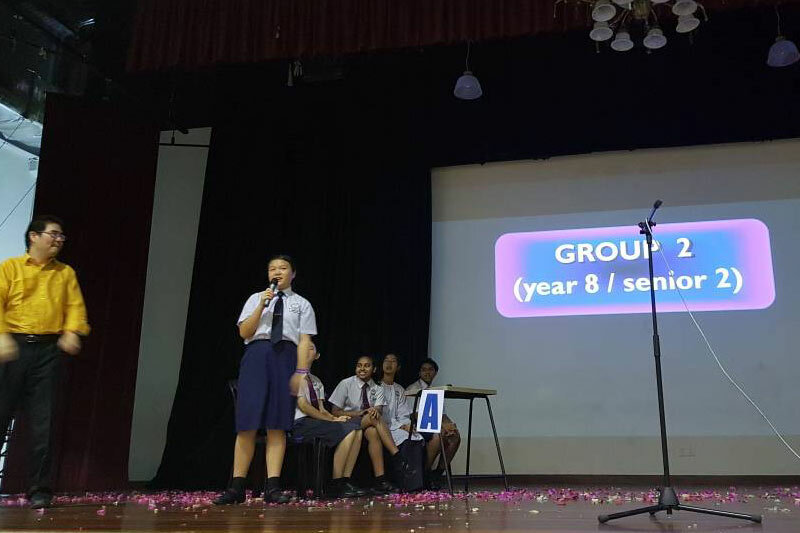 The post Shah Alam Campus’ Annual Reading Olympics appeared first on best international schools in malaysia.